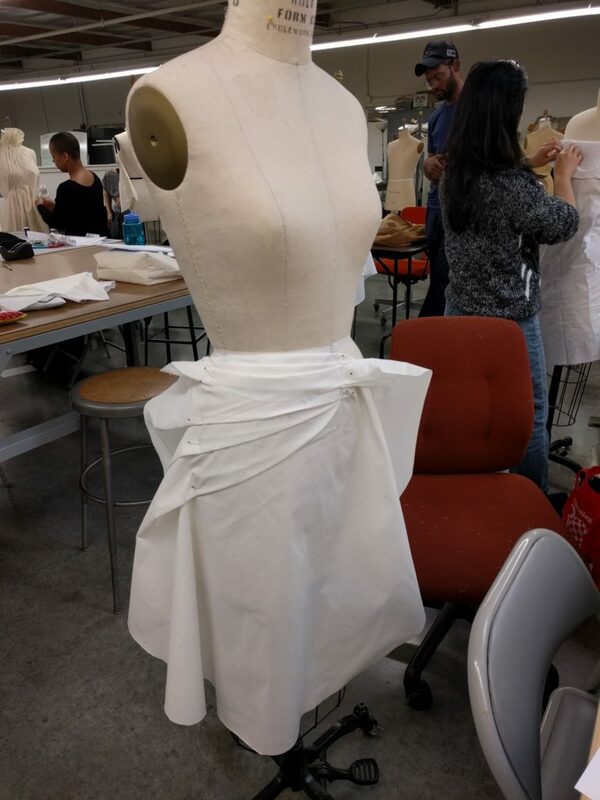 I’ve enrolled in the Fashion Draping course at City College of San Francisco. This is a course aimed at training professionals to work in the fashion industry. 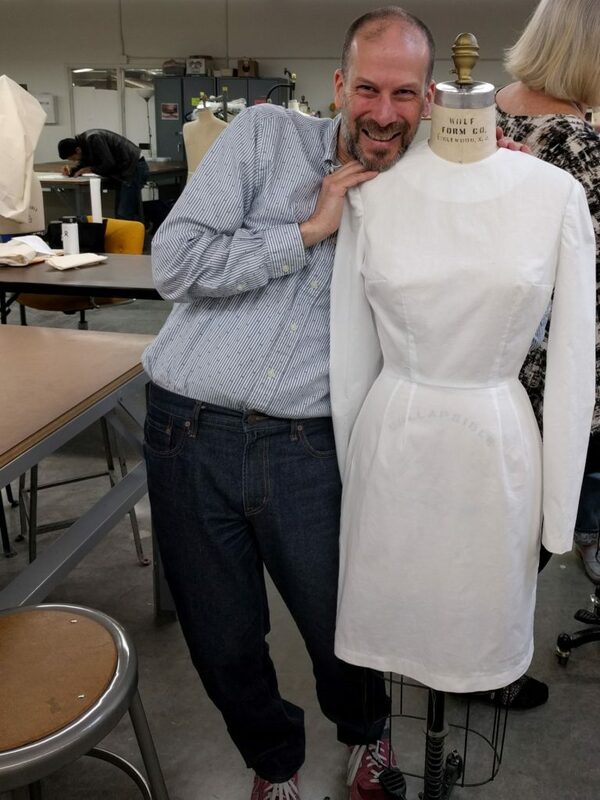 The course is part of the broader fashion curriculum at the school covering construction, patternmaking, design and merchandising, but I had to start somewhere. This class is offered on weekends and so it gives me the most flexibility career-wise. 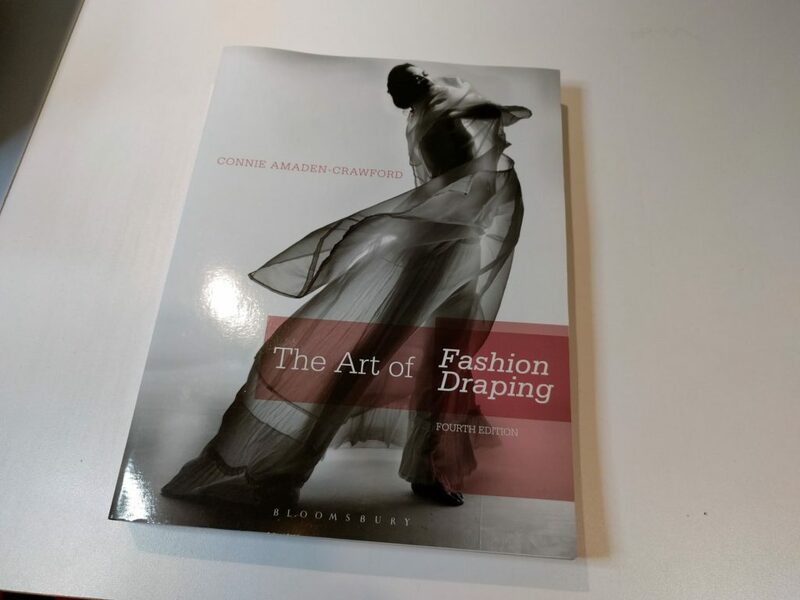 The textbook for the course is The Art of Fashion Draping, Fourth Edition by Connie Amaden-Crawford. I really like this book – it has tons of clear diagrams, and easy to follow step-by-step instructions. But it doesn’t compromise on breadth or depth of instruction. 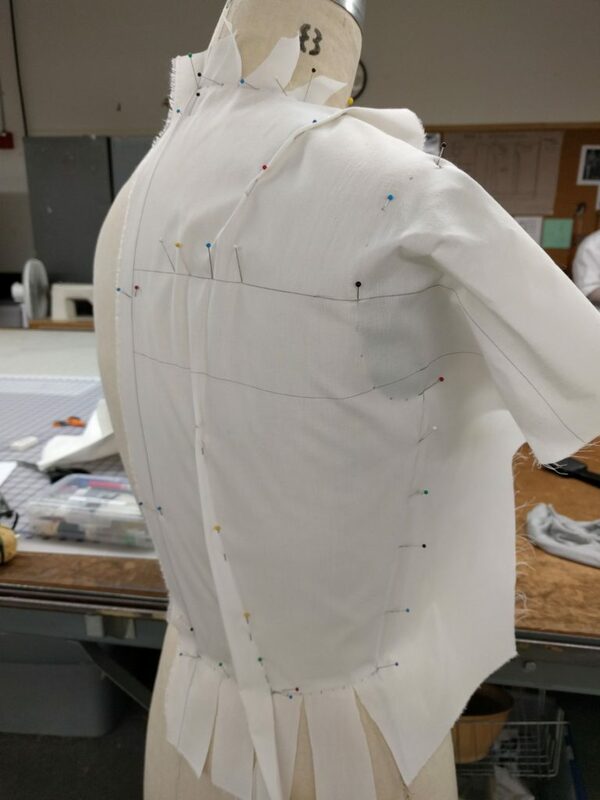 Draping is the process of designing a sewing pattern by molding fabric to a dress form (or sometimes to a live person). We chose a dress form at the start of the course which is the one we work with all semester. Mine is a size 8 Wolf form, which is about as standard as you can get for a fashion design course. Because all the work has to be carried out on the form, we do most of the work in class so there is relatively little homework (with one exception I’ll discuss soon). We finished midterms this past Saturday. For the first half of the course, we learned how to make a fitted bodice sloper with darts, as well as princess seams. 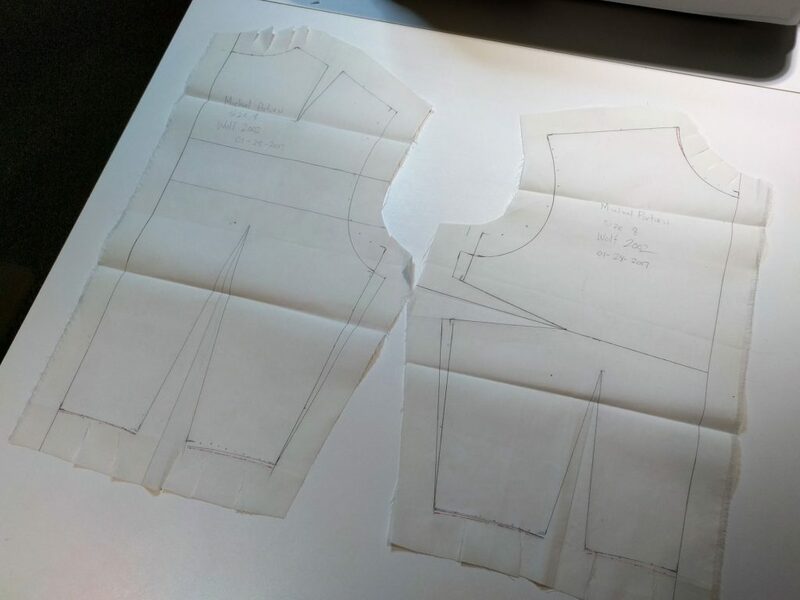 We also created a fitted skirt on the dress form, as well as drafting sleeves to complete the basic pattern. 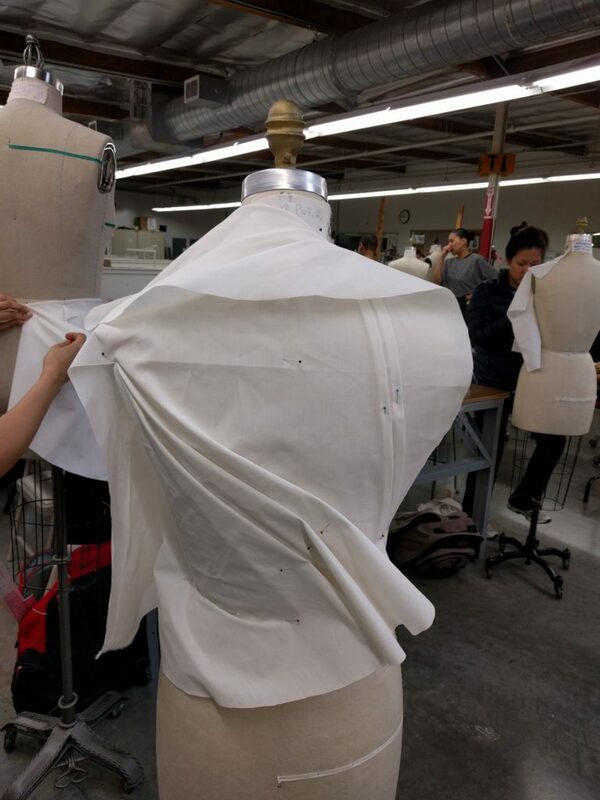 The draping process starts with a piece of muslin (inexpensive woven cotton) fabric. You draw in guidelines for grain and crossgrain. Next, you anchor the fabric to the dress form with some pins. Then you mold features such as darts and gathers, by pinching and pinning to the model. After marking fabric and removing it from the dress form, you end up with a pattern in muslin fabric. With pencil, you do some additional work on the muslin to add wearing ease. Also, you true seams that are sewn to each other so they are the same length. Finally, you transfer the pattern to paper with a tracing wheel, then add finishing touches including trued darts and seam allowances. The result is a pattern ready to cut and sew. 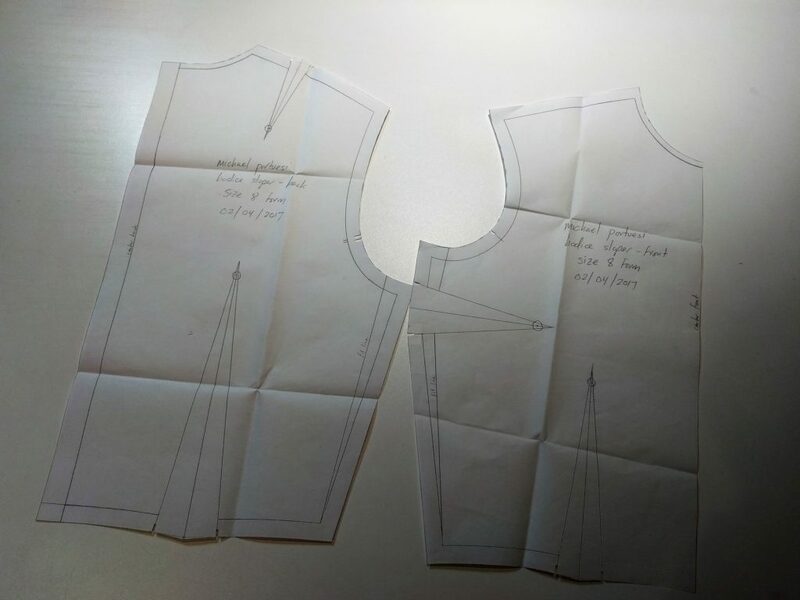 To make sure the our completed pattern assembles well and has proper fit, we also sewed a sloper dress from the patterns we made. I made the dress outside of class as homework, which gave me the opportunity to learn some new sewing skills. Invisible zippers are never used in men’s wear, but here I learned how to sew one into the back seam of the dress. (Nancy Zieman was my teacher for that technique). I also set-in an eased sleeve with a gathering method using lines of basting stitching, a method I had not used before but was demonstrated in class. My sloper dress is actually wearable, but it won’t win any fashion awards. But it was never intended to. Instead, it is the starting point for creating more stylish designs. 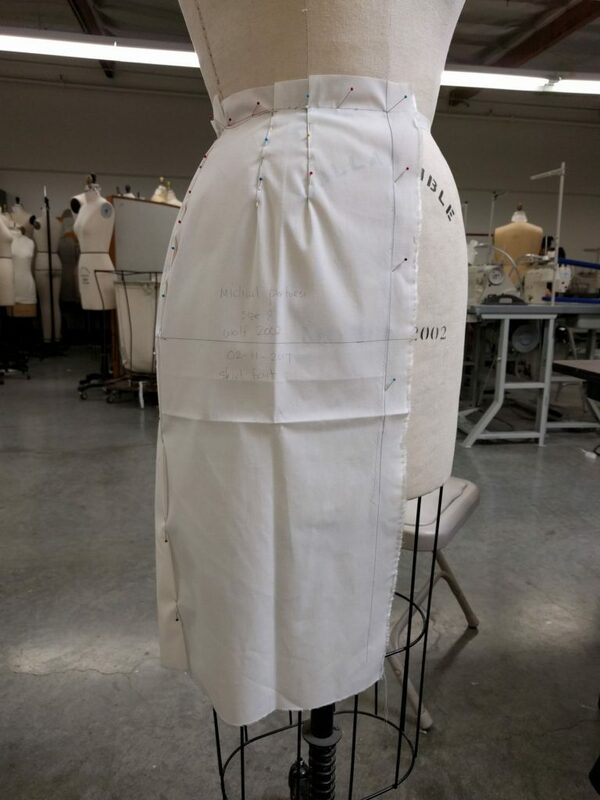 All of our draping work is evaluated by the instructor as it hangs on the dress form. 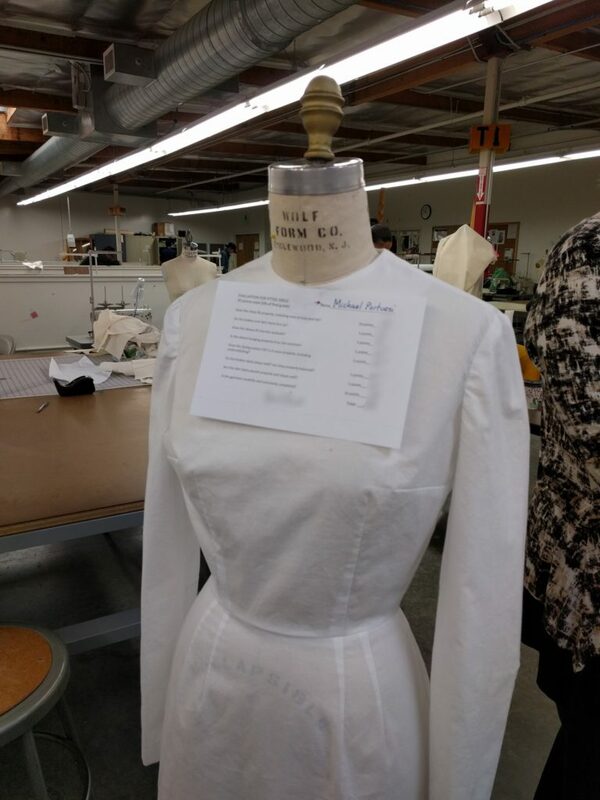 Additionally, we turn in our draped muslins and paper patterns for a final grade. Much of the classwork has been very structured so far. The process for creating a sloper pattern is pretty structured and doesn’t allow for much creativity. But we have had some class sessions that encouraged us to produce our own original designs on the dress form. 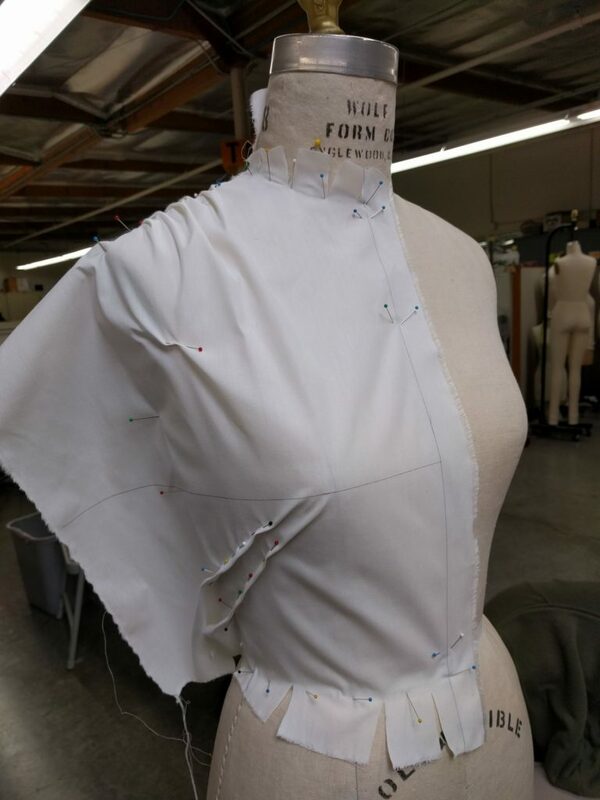 This design uses gathers as an alternative to darts to shape the garment above the bust. Below the bust, two angled darts are used as a shaping device. Here’s some more designs I recently did as part of a free-form exercise. Next week is spring break, but I’m having a great time and I’m very much looking forward to the second half of the class. Please say Hello to Judy for me! Bill Jones from San Francisco State Theatre Dept. Will do! Judy’s a fantastic instructor. I wish there were classes like this in my area. Looks like you’re doing very well! Looks as if he’s having a great time. Sounds like an exciting class. You should get an “A”. Thanks, Wil. So far I’m doing well in the class, so I’m keeping my fingers crossed for a good grade.